Rituals are as old as mankind’s first thought. Modern ceremonies are mostly religious, but in the past, they held a wider purview. From initiation into adulthood to astronomy to honoring the gods, there were rituals for everything—even disposing of enemies and bringing meaning to cannibalism. The physical remains left by ancient rituals give archaeologists a deeply personal glimpse into long-gone societies. Sometimes, these finds confirm long-held beliefs. Other times, they’ve turned them on their heads. A new angle opened up in archaeology when researchers scrutinized small rocks. These were found in a cave in Italy called Caverna delle Arene Candide. 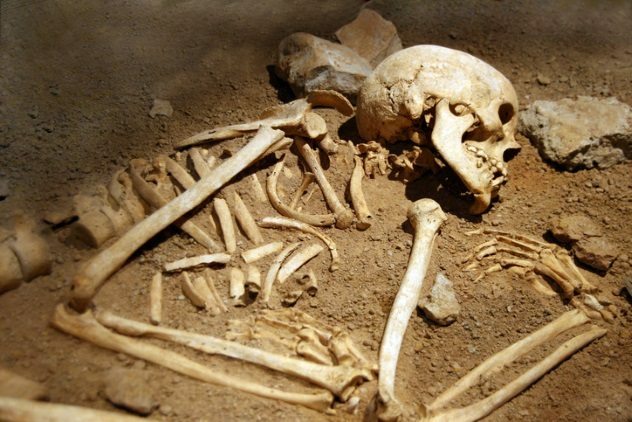 Around 12,000 years ago, an Upper Paleolithic community used the site to bury 20 individuals. Considered a crucial archaeological area since the 1940s, there were plenty of things in the cavern to distract attention away from several oblong pebbles. More recently, however, archaeologists realized that around 29 of the stones did not come from the cave and had been brought from the nearby beach. Each appeared purposefully broken and had missing pieces that could not be found anywhere in the large cavern. This could be evidence of a known ancient behavior: the symbolic “killing” of inanimate objects during a funeral. If so, the flat pebbles reveal an unknown funerary rite, during which they were used as spatulas to apply decorations to the deceased and then “killed,” with the missing pieces perhaps being kept as a link to a lost loved one. The ritual slaughter of artifacts was believed to have first appeared around 8,000 years ago. This find could move that back by as much as 5,000 years. It also sets a new caveat that even rocks cannot be ignored if ancient sites and their connected cultures are to be fully understood. 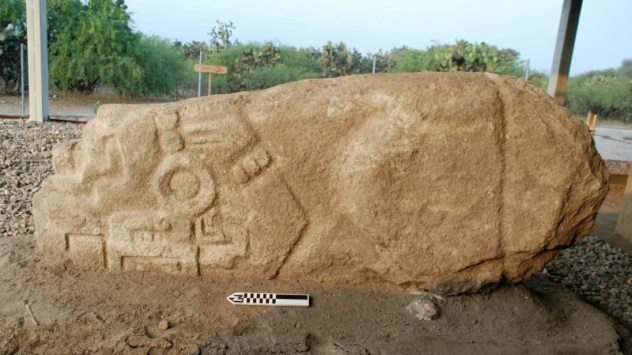 In 2015, archaeologists focused on the ball court of an ancient Mesoamerican city. Discovered in the 1960s, Lambityeco’s ruins included two palaces with art linking it to a more powerful neighbor, Monte Albon. Researchers looked for something that had both ritual and civic purposes and were naturally drawn to the game area. During excavations, something odd came to light: The ball court received a makeover when it was around 150 years old and still hosted games. The adjustments betrayed a hidden pathway, barricaded all the way, that lead to a stone crocodile. The rectangular artifact was a secondhand ritual edifice. Originally, it was likely a the balustrade of a stairway before it was tipped against a building, an action that turned the crocodile image upside down. Rituals happened around it, proven by the bits of charcoal, scorched human skull fragments, and incense ceramics found nearby. Carved sometime between AD 500 and 850, the crocodile’s hidden sanctuary hints at an attempt by Lambityeco to become independent from Monte Alban’s influences. By altering the court and crocodile stone, they changed what researchers believe was a ceremonial path walked by both cities, but Lambityeco’s was altered when its leaders broke away and focused on independent power and rituals. China’s Shang dynasty (16–11th centuries BC) witnessed a lot of human sacrifice. Around 13,000 people were killed in the capital of Yinxu. Oracle bones from the city revealed the victims to be spoils of war, captured outside of Yinxu. 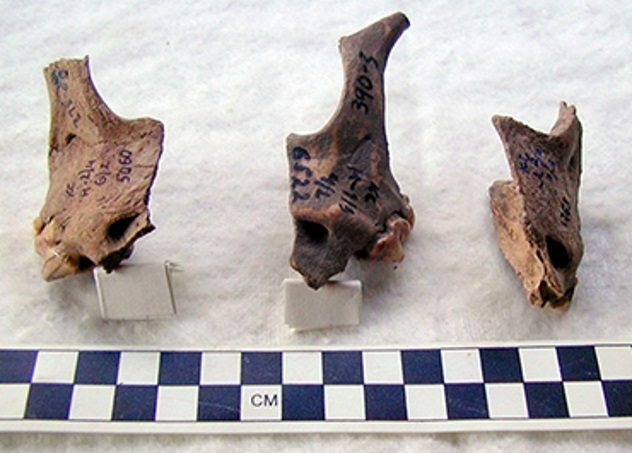 Oracle bones represent China’s earliest writings, etched on bone. However, there has never been proof to back up the writings. Researchers visited the Shang Dynasty Royal Cemetery, which holds nearly 3,000 sacrificed individuals. Tests were performed on 68 victims to find chemicals linked to diet. When compared to 39 ancient Yinxu citizens, the results provided the first evidence that the two groups had separate origins. The larger bones’ nutrients, deposited over a long period of time, were different. Millet featured heavily in both, but only the locals received extra food such as rice, wheat, or meat. Where the bigger bones backed up the oracle texts, the smaller bones busted a long-held belief. Scholars thought captives were killed within days, but the minerals in their small bones resembled Yinxu natives. This could only happen if they had lived in the city for years. Shang experts originally didn’t believe the captives became slaves, but considering that they lived for years, they were probably used as forced labor. In the 1970s, an archaeologist named John Kinahan found an image of a kudu in the Namib desert. Oddly, it had been carved into the rock panel with a polishing technique. 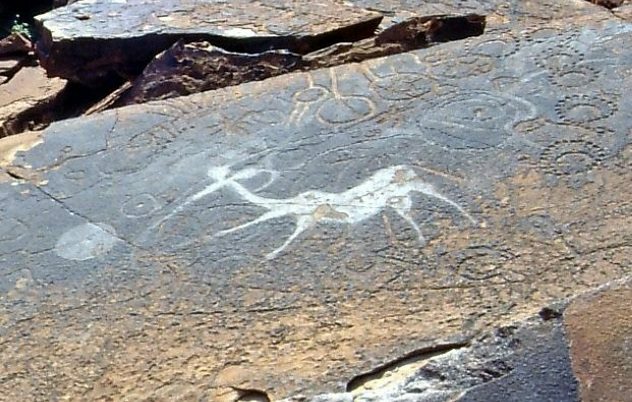 The antelope was a female, a significant factor that did not become clear until Kinahan learned more about the ancient artists over the years. The research suggested that female kudu art was important to initiation ceremonies for girls from the local hunter-gatherer societies. Aged around 3,000 years old, the so-called “dancing kudu” would have seen girls participate in shaman-led initiation rituals. The initiates would have been schooled about the qualities they were to cultivate as adults while staying at special shelters. The remains of one such residence, a stone circle, was found nearby. The pregnant animal is believed to symbolize the culture’s desired female characteristics of gentleness, cooperation, and motherhood. The exact ceremonies performed by the ancient Namib shamans remain a mystery. The polished antelope is an important step to unravel at least some part of how the girls ceremonially entered womanhood. 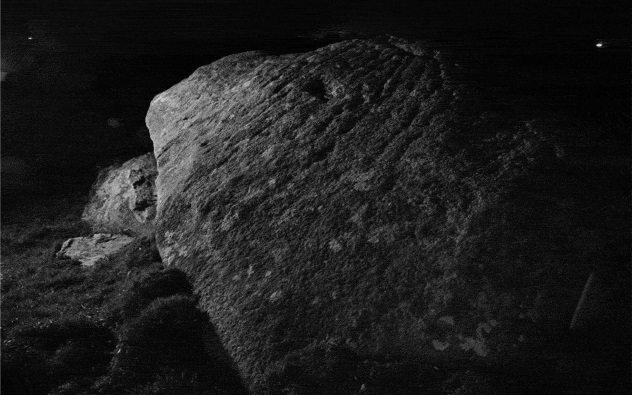 An ancient stone in Cornwall could prove that rocky monuments in the UK, Stonehenge included, were used during the night. Archaeologists were at Hendraburnick Quoit, an engraved slab shaped like an ax that was maneuvered onto a platform around 2500 BC. Its 13 engravings were old news, but during a nighttime study, the sheer number of hidden marks was exposed. Over 100 additional carvings suddenly showed up in a camera’s flash. These same ones were only visible in moonlight or low sunlight coming from the southeast. Bits of smashed quartz were another clue that the site was active during the night. The crystals had been broken on purpose and scattered around Hendraburnick Quoit. In moonlight or in the presence of fire, they added a glitter not visible during daytime. This, in theory, was perhaps meant to reveal the art and give the stone an awe-inspiring presence during rituals. While not definite proof that all Neolithic sites were nocturnal temples, most (like Stonehenge) do have engravings. Others have smashed crystals. Conventionally, Neolithic structures are linked to the Sun due to the summer solstice lining up with Stonehenge. Another look at them after dark might add a new dimension to the familiar ancient sites. A zigzag pattern is helping researchers understand a particularly gruesome question. In the 1980s, Gough’s Cave in Somerset was found to contain human bones. 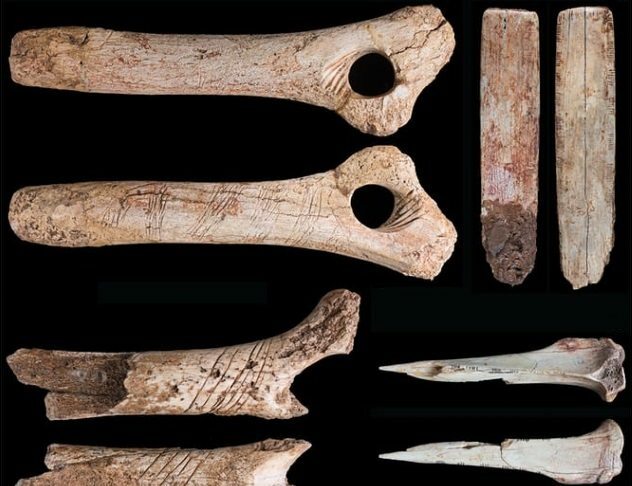 The 15,000-year-old remains showed signs of cannibalism. Why did the group resort to eating their own, including a three-year-old child? Suggestions included starvation or showing respect to the deceased, caveman style. A 2017 study had another look at the bones and provided more insight into the people who colonized Britain after the last Ice Age. The bones had been expertly filleted, and human gnaw marks left no doubt about what followed. But in between the butchering and the breaking of the bones to eat the marrow, something else occurred. One arm bone had been decorated with a zigzag pattern. Tests determined it was not a result of the slaughtering but a deliberate, perhaps symbolic, addition before consumption. Previously, the cave yielded skulls that appeared to have been modified into drinking vessels. It is not known if the skulls belonged to those who were eaten, but the unusual pattern, together with the polished craniums, were likely part of a complex death ritual. Another possible initiation site, this time for boys, was identified in Russia. The remains of two ceremonies could prove that legends about “wolf-men” were true. Myths of wolf-like war bands began circulating 2,000 years ago throughout Eurasia. The men wore dog and wolf skins, stood for war and death, and operated outside the law. Initiation called for teenagers to consume a canine. During excavations at Krasnosamarskoe, the skeletal remains of dogs and wolves were found. Around 2,770 bones belonged to dogs. Some skulls had been cut into angular panels, an act that called for immense skill. This suggested a ritual element. Signs of roasting raised suspicions that the animals were consumed. A focus on male animals (very few were female) reinforced this as the first archaeological evidence for the boys’ rites described in legends. Other experts agree dogs were perhaps eaten during the Bronze Age by Indo-Europeans. However, the lack of more sites throws doubt on real wolf-men initiates. The archaeologists, who found the bones between 1999 and 2001, stuck to their guns nevertheless. They also discovered that cattle were slaughtered year-round at the site, eliminating hunger as a reason to eat the dogs. None of the cattle and goat skulls were sawed into small panels, either. Below Mexico City sprawls the ancient Aztec capital Tenochtitlan. 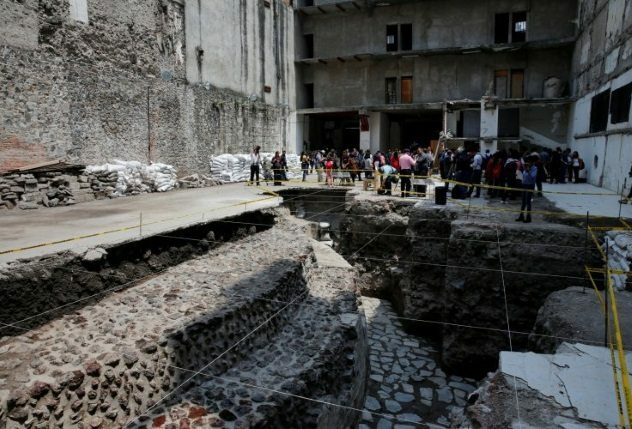 In 2017, a long-standing project to rediscover lost buildings revealed more details on Aztec games and sacrifice. More gruesomely, it showed how the two activities were ritually blended. A massive area that stretched seven modern city blocks was identified as a temple. It was dedicated to the major god Ehecatl and was located near a ceremonial ball court. Close to the court was a stairway that could have led players onto the field. Underneath the steps was wrenching sight: the neck bones of 30 children and babies. It is believed that they were decapitated as part of the game’s rituals. They weren’t the only losers. Spanish conquistador Hernan Cortes (who would eventually conquer Tenochtitlan in 1521), witnessed Aztec players in action and claimed that the losing side was put to death. A second grisly find could confirm this rule. Next to the court was a pit. Inside was a team-sized number of male neck bones. They belonged to 32 young men, most probably warriors, who were ceremonially sacrificed when the game ended. During the first century AD, the Roman occupation of Jerusalem made it increasingly hard for priests to uphold Jewish traditions. Some priestly families were believed to have fled to Galilee, but there existed no proof that they continued the holy rituals. In 2009, archaeologists surveyed an area in Galilee’s Magdala. They unearthed an extremely rare synagogue dating to the first century AD, which yielded artifacts confirming an active priest class. One item was the Magdala stone, a unique Torah-reading table. Carved reliefs on the stone show the earliest depiction of a menorah and what could be the Jerusalem Temple. 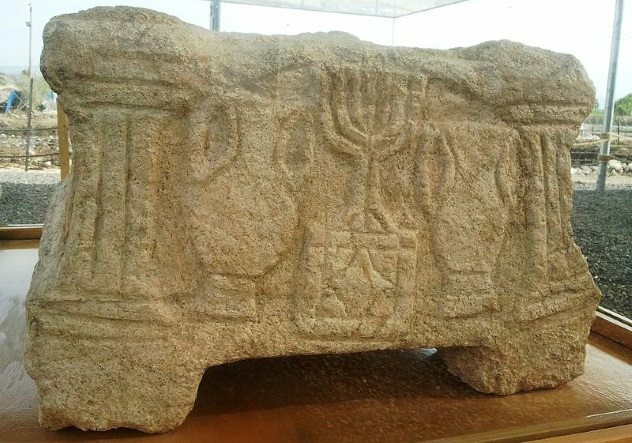 Significantly, the Magdala stone also had four horn-like structures. This links it to contemporary altars in Jerusalem. 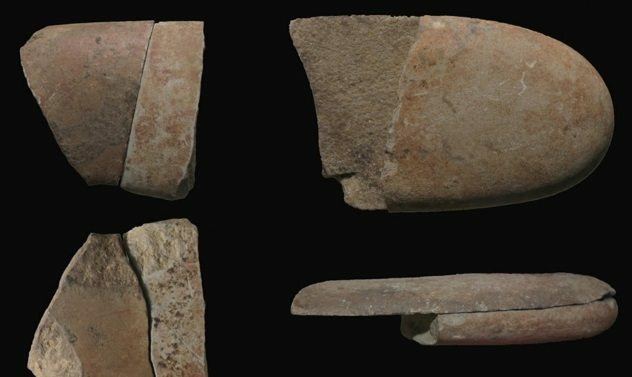 The artifact, probably crafted by someone with firsthand knowledge about the city’s Temple and Holy of Holies, is among the most prized finds from Israel. The site also delivered ritual baths, the only ones found in an ancient gentile city in Israel. They were also uniquely filled with groundwater, not rainwater or spring water like other baths. More finds included priestly vessels, oil lamps (also depicted on the Magdala stone), and an incense scoop. 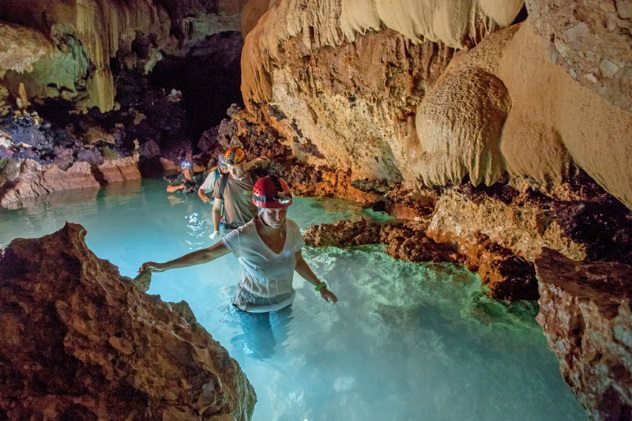 The Maya did something puzzling: They entered caves to perform sacrifices. These weren’t your average sort of caves. The Maya went into tunnel systems and caverns that even today, with modern equipment, represent a daunting trip. When there were plenty of grand temples on the outside, holding ceremonies in dangerous places was mystifying. The priests meant business. Hundreds of caves contain abundant human and animal sacrifices, elaborate rituals, altars, and vast monuments. Several major locations showed visits occurred for hundreds of years. Then, leading up to the ninth century, ceremonies became more frequent. They were also held increasingly deeper in the caverns. Then they suddenly ceased. The ninth century saw the Maya’s sophisticated civilization collapse, and until 2000, nobody knew why. A study proved that a devastating drought decimated crops and populations. Galvanized by the information, archaeologists looked closer at Mayan legends and art. They discovered the god Chac brought the rain that the Maya so desperately wanted—and that he lived in caves. The increase in offerings is a testimony to the people’s growing desperation to please Chac. It would never come in time, and the survivors moved away, leaving their magnificent cities to the forests. Read more about rituals through history on 10 Sacrificial Rituals Practiced By Ancient Farmers and 10 Dark And Unsettling Rituals Of Death And Immortality.